When making a donation, please be sure that the Fund Number 769408 is indicated so the donation is made in Honor of Bernice and Edward Malinowski. Bernice Malinowski, age 100, passed away July 21, 2017. Loving wife of the late Edward. Dear mother of Constance(the late Stanley) Kronen and Ronald(Carol) Malinowski. 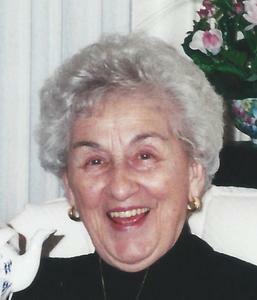 Cherished grandma of Barbara(Mike) Thomas and Jeffrey Malinowski. Proud great grandma of Jordyn and Evan. The family wishes to thank the staff at Beaumont Dearborn and the caregivers at Waltonwood Assisted Living for their wonderful care and compassion. Family will receive friends Monday, 2-8 pm with prayers at 6 pm, at the Neely-Turowski Funeral Home, 45100 Warren Road (between Sheldon and Canton Center Rds). Funeral Mass Tuesday, 10:00 am, at St Anselm Catholic Church in Dearborn Heights. In state 9:30 am. Interment St. Hedwig Cemetery. In lieu of flowers, consider donations to Beaumont Dearborn Nursing Scholarship Fund in honor of Bernice and Edward Malinowski.